Leveraging on our rich industry experienced, we are able to bring forth high efficacy Levofloxacin Ornidazole Tablets for the buyers. These Tablets are formulated at our W.H.O. G.M.P. and ISO 9000: 2008 certified production facility, under the supervision of our experts. 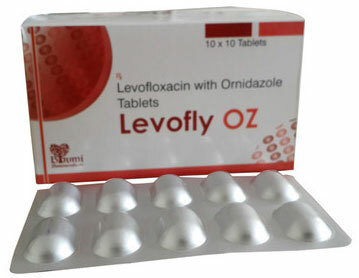 Used for treating severe or life-threatening bacterial infections, these Levofloxacin Ornidazole Tablets 250 and 500 mg are widely demanded. Rely on us for fair prices!